Since the beginning of the Ukrainian crisis, Italy has been in line with the German approach, based on four main convictions. A political solution as the only solution. Military intervention though NATO is an extreme option and only a very last resort. International institutions and forums, such as OSCE and G7/G8 should be involved. And finally, like Berlin, Rome also seeks a constructive dialogue with Russia. The Italian government is convinced that its “important convergence” with Germany on Russia and the Ukraine crisis has been successful in mitigating the tougher approach that some other EU countries would have chosen. And Ukraine is not an exception. Traditionally, Rome and Berlin have shared common views on many European and international issues. This is especially the case with their Russia policies because of both countries have always had strong economic ties with Russia. On 27 March, Barack Obama will land in Rome to meet Italy’s head of state, Giorgio Napolitano, Prime Minister Matteo Renzi, and Pope Francis. The Italian visit will take place during Obama’s first trip to Europe of 2014, after his attendance at the third Nuclear Security Summit at The Hague on 25 March and the US-EU Summit in Brussels on 26 March. The European tour will provide an occasion for Obama to show the United States’ commitment to transatlantic relations and give him the opportunity to discuss with European leaders pressing issues such as the Ukraine crisis, the role of NATO, and transatlantic economic cooperation. Not surprisingly, the Ukraine crisis will be the central issue of the visit. Obama called an extraordinary G7 summit in The Hague on 24 March to put pressure on Moscow. The US president is seeking European support for shared and harder action against Russia. 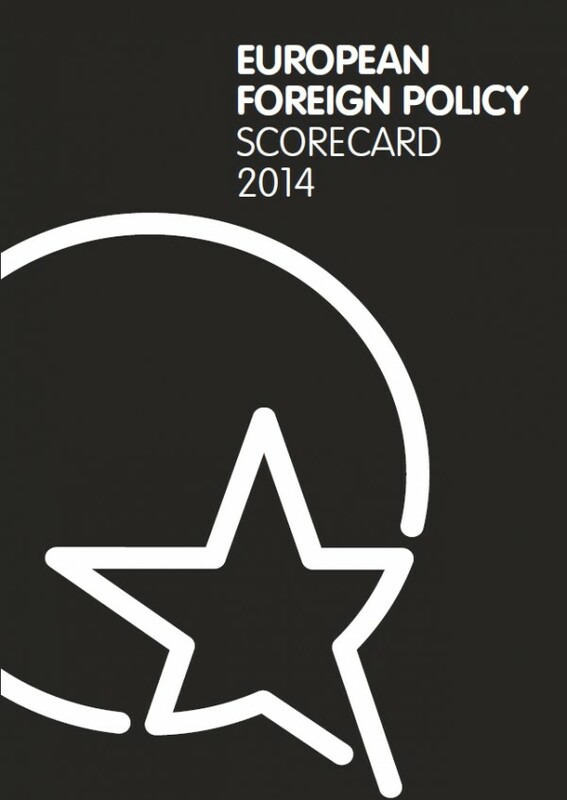 Yesterday, ECFR published the fourth edition of the 2014 European Foreign Policy Scorecard, a comprehensive evaluation of European foreign policy in six key areas –relations with the United States, China, Russia, Wider Europe, and the Middle East and North Africa, and Europe's performance in multilateral institutions and in crisis management – and of the EU28 Member States. 2013 was a good year if compared to the previous three: among the improvements was the performance in relations with the MENA region. A few days ago Italian PM Enrico Letta met Israeli PM Benjamin Netanyahu for a meeting that resulted in signing 12 bilateral agreements from public safety, civil protection, energy, health, education, research to technology aimed at “enabling growth and new employments”, as PM Letta said.